We are grateful for community partnerships and their generous donations. care, employee satisfaction and meeting the health needs of the communities we serve. 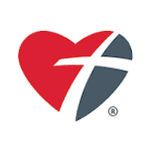 Spooner Health has been a supporter of Faith in Action for many years. Not only are they generous financial donors, every year they provide in kind donations of printing and board member expertise to our agency. We are humbled by their commitment to our aging population in Washburn County. Schmitz’s Economart is northwest Wisconsin’s destination grocery store. They have served our area since 1937, Shop smart - Shop Economart! Economart regularly supports Faith in Action through financial giving. We are excited to also explore a new way with them to serve homebound seniors in 2017! ​Office hours: 8:00 a.m. - 1:00 p.m. Copyright © 2017 Faith in Action - Washburn County. All rights reserved.